﻿ Four University of Florida freshmen students by a sign, "Gatorland FLA Elevation 138 ft"
Four University of Florida freshmen students by a sign, "Gatorland FLA Elevation 138 ft"
Scanned. Copy neg. 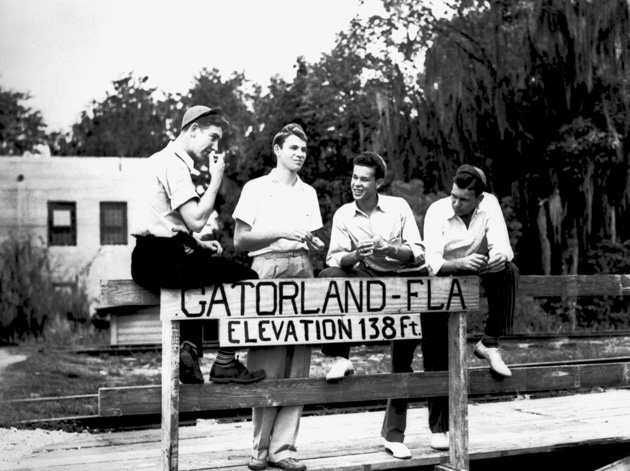 Four freshmen students by a sign, "Gatorland FLA Elevation 138 ft"
Photograph 7000 from the University Archives Photograph Collection.